Kickin’ it in the sun. Yesterday was a beautiful day. As little as it takes for it to be beautiful after months of freezing mornings, it was exceptional. Warm sun, calm wind, and clean air flowing through. This perfect combination allows me to unlock interchangeability between peaceful bliss and intense focus. I wish this was a mode I could set myself in at any moment, but to be honest, I can’t (but I’m working on that!). 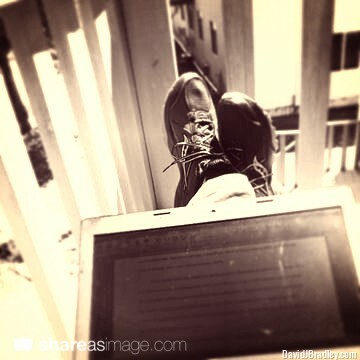 So, I figured I’d take advantage of this and get some work done on my deck. My backyard reaches about ten feet before hitting woods. A small stream passes through, and simple suburban wildlife is abundant. It can be pretty serene, until the firetrucks speed by. However, yesterday was a particularly calm morning. Birds were energetically chirping back and forth. Squirrels were foraging around, preparing for the approaching summer. Then, I noticed a more rare sight − a beaver. I watched this beaver in the woods right in my backyard. It reminded me of what life should be. The beaver explores the woods for leaves and twigs. It spends its time gathering food and supplies it needs for a healthy life. The beaver is startled by true threats, such as an approaching human. The beaver is not startled by false threats, such as the jagged, uneven terrain, or the bugs crawling among it. The beaver lives with these elements, and becomes one with the obstacles. It conquers and assimilates these dangers into its being. It is focused on its needs and only distracted by true predatory threats. We live in a world driven by fear. Marketing is the manufacturing of fear. Everything around us becomes perceived as a potential threat; false threats. The things we do, the people we surround ourselves with, the thoughts we have of ourselves and what others think of us. In reality, humanity is simple. We have few needs, and few threats. Our perceptions have evolved otherwise, but this is a mere recent development. 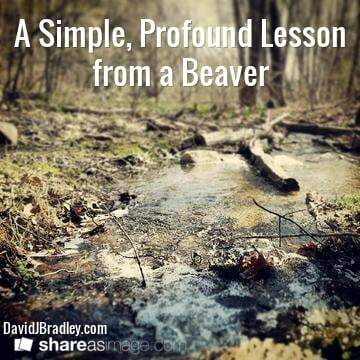 At our core, we are creatures as basic and profound as the beaver. We can still connect with our core needs, and disconnect from our unnecessary threats. Be mindful of your false threats. Be mindful of life’s virtues. Be mindful of the natural beauty among us that can remind us of our true life goal − happiness.